We are a highly specialized sales team in Cleveland, Ohio serving the newspaper industry exclusively. Since 2004 we have provided telemarketing services for daily and weekly newspapers in nearly every state. We produce outstanding results for our clients by approaching every call as if it were the only call. 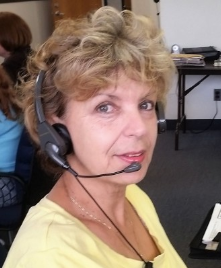 Telemarketing is not a numbers game, it's a people game, and our sales team is the best in the business. We are able to overcome objections because we BELIEVE the newspaper belongs in their home. We treat each call with the utmost respect, professionalism and politeness and leave a positive impression on each call, including those that refuse. Our veteran sales team understands how a circulation department works. We don't just sell newspapers, we read them too. Our staff is thoroughly trained in all aspects of newspaper circulation sales. We understand the challenges your carriers face everyday. We sell professionally and relentlessly but we don't make promises you can't keep. We ask for 25 copies of your newspaper when starting a campaign and then a mail subscription to follow. We don't just pitch price, we passionately promote readership to your community. Having your newspaper in our hands helps us to convey the value of the content you provide to your community.